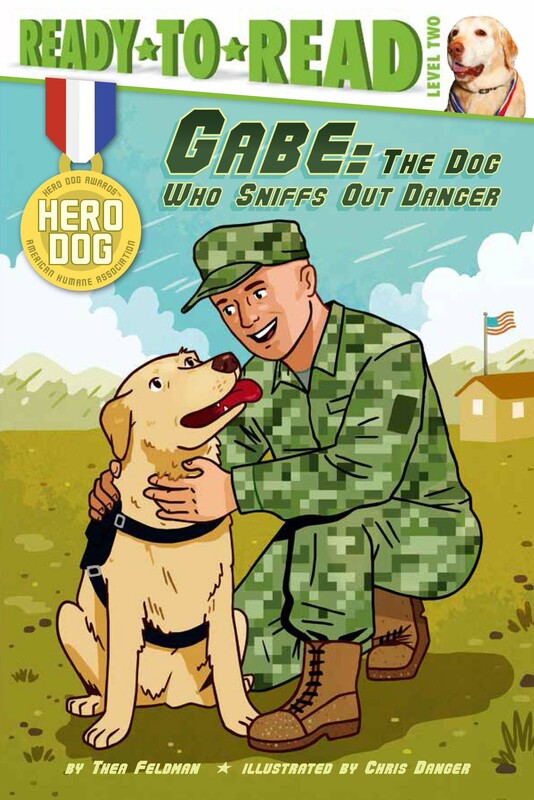 Meet Gabe, a real dog who worked with the United States military, in this Level 2 Ready-to-Read based on one of the winners of the annual American Humane Association’s Hero Dog Awards™! Meet Gabe. Gabe had an important job: He used his canine sense of smell to find weapons before they hurt anyone. Gabe saved lives! When he wasn’t sniffing out explosives in Iraq, Gabe spent his time cheering up wounded soldiers in the hospital and visiting schools across the United States! Read his action-packed story to find out more about what he did and what made Gabe a hero dog! Emerging readers will love discovering the inspiring, action-packed story of a different heroic dog in each book of the Hero Dog series. ©2014 American Humane Association. The American Humane Association Hero Dog Awards™ is a trademark of the American Humane Association. Chris Danger is an illustrator and animator from the small town of Wahiawa, Hawaii. He works his childhood dream job everyday by creating bright and colorful illustrations. After graduating from the School of Visual Arts in New York City, he animated for Disney, Comedy Central, and Cartoon Network. He now teaches in Washington, DC and creates illustrations for The Washington Post, the Smithsonian, and many others.